Cas Hanwei Throwing Axe Antiqued | BUDK.com - Knives & Swords At The Lowest Prices! The Throwing Axe could be used as a weapon in two ways. As a hand-held weapon it was a lethal force, capable of cleaving helms, mail and shields, while a volley of thrown axes could disrupt an opposing force and allow a breakthrough in a shield wall. 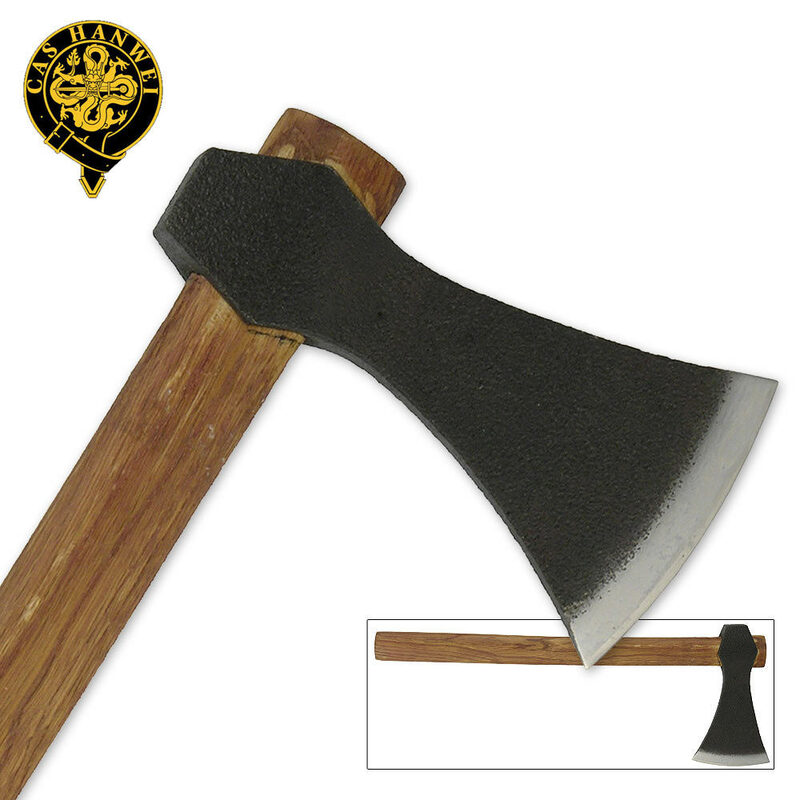 This Cas Hanwei throwing axe features an antiqued blade. 3 1/4" bl, 17 1/2“ ov.